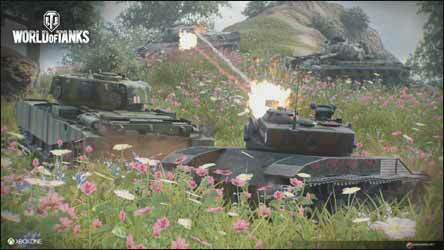 For those who have played and loved World of Tanks, you'll be pleased to learn that at long last it's made its way onto the Xbox One. For those who have never played the game before... you're in for a treat. 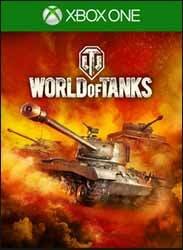 I played and loved World of Tanks on the Xbox 360 and then started playing on the iPad. Of the two the iPad version was the one I played the most. I haven't been back to the console version and so I was a little out of my depth as I tried to grapple with relearning aspects of the game. If you have friends that are still playing the Xbox 360 version, you can still play against them, which is a welcome aspect of the game. If you've ranked up already on the Xbox 360, then you can sign in using the same account info on your Xbox One and you can pick up where you left off. If you're new to the game... first and foremost, don't get discouraged when you start playing online and get blown to pieces almost immediately. 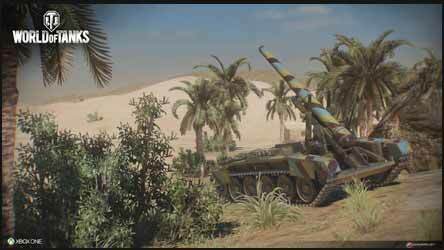 You'll be playing with people who may be slightly higher ranked than you and levelling up your tank, through its individual tech tree, does help to level the playing field. I started off playing the offline (Proving Grounds) game modes in a bid to earn silver (the game's currency) and rank up a few of the tanks I wanted to use online. It was also a good way of getting used to some of the maps. The offline mode, against AI tanks is a lot of fun and helps you to get to grips with the basics (there's nothing more frustrating than coming face to face with an online enemy, and panicking trying to work out what buttons to press or whether to retreat to cover). The offline modes help you gain a little confidence and explore the maps. Part of this game is in knowing where all the good vantage spots are for hiding and picking off your enemy. In addition there are fun modes like Island Race which sees you race around the island avoiding, or destroying, enemy tanks that are hidden along the race track. The standard gameplay is incredibly simple. 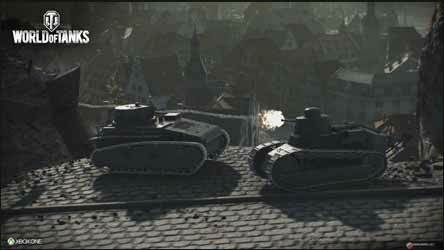 You start with your chosen tank (and are put into a game with similarly ranked gamers) and can win each battle when either your team destroy all of the enemy tanks, or capture the enemy HQ (this you do by parking your tank within a designated area, but watch out for enemy tanks creeping up on you). 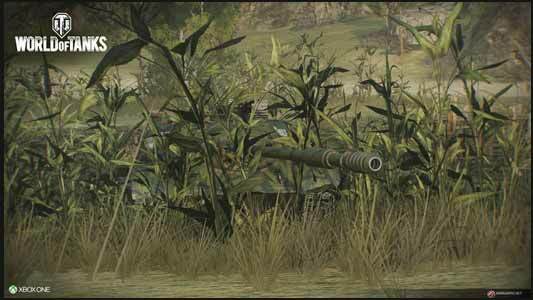 As you move around the terrain, you have to watch out for tanks that are hiding in the undergrowth in order to get in the first shot. At the end of the game you are awarded XP and silver, which you can use to buy items to rank up your tank / buy new tanks. You are awarded more silver for things like hitting / spotting / destroying an enemy or capturing / defending a base. You'll also be shown how much you earned as a standard player, and how much you would have earned if you were a Premium player. Every now and then you'll also be awarded a Premium account for free for a set time (usually 24 hours) so that you can receive more experience points and coins. While you can buy a Premium account for real money, I've never really been tempted to do so. For me it's a little like cheating, paying to progress quicker. I'm not bothered if I need to play twice as many games to upgrade the tanks. The fun is in playing each battle, not levelling up quickly. You can also train your crew to concentrate on certain aspects as well as purchase consumables for ingame currency. These include things like fire extinguishers and first aid kits which can keep you alive a little longer. The graphics and sound are improved over the Xbox 360 edition, as are the destructive elements of the game - there's nothing like crushing fuel tankers and watching them explode. 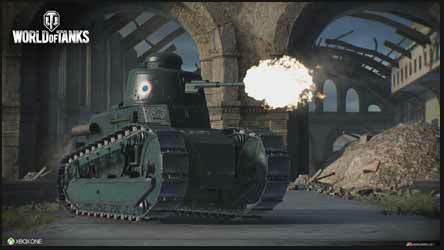 If you want to get the most out of the game then you're advised to head over to the official website (xbox.worldoftanks.com) which has tons of information to help you chose the best tactics and tank set ups.